RAGLANSHIRE ARTWALK 2015 IS ON ! The lovely month of May is here, so RaglanShire Artwalk is back ! This event is existing from 2007 and it’s the 10th edition (they started doing it twice a year) and it is a pure delight to visit it each time ! 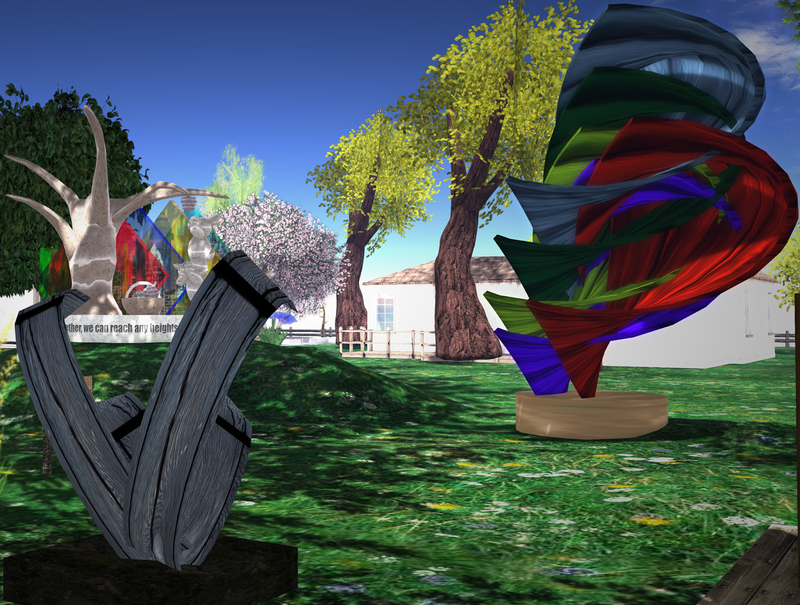 Gathering together around 100 artists, the Ragan Shire sims offer hedges and spaces for 2D and 3D artpieces . As Raglan Shire is a big community of tinies, a strong one and those people are really doing great in the art of living together. Their space covers several sims and it is really well organized, with everything a tiny residend would need : residential areas, shops, spots for hanging out, some artgalleries, place for entertainment, fishing arreas, beaches, etc. Well, whatever activity a tiny resident would like to practice, they can find it at the Raglan Shire sims. On top of being cute as hell, and giving willing to anyone to take them in their arms and cuddle them, they also have a great human quality : they are super friendly and welcoming. [10:35] ShinyWhiteDragon: Hi Trinity Harmony Happiness luck love & light to you . And it’s not rare here to be welcomed by resident via a friendly IM. 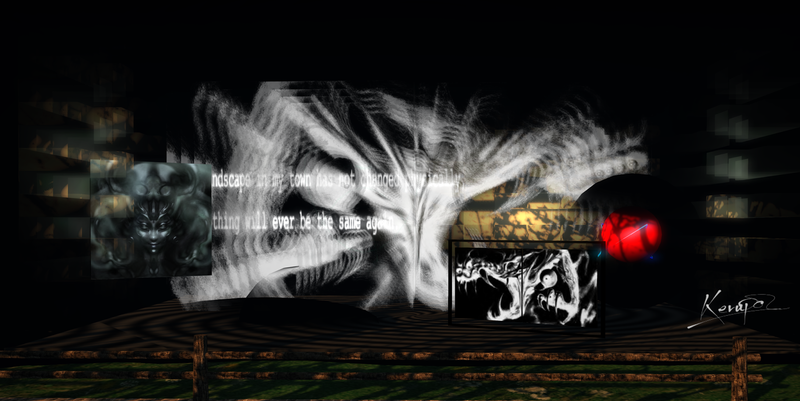 As the place is huge and running over several sims, the Artwalk is of course divided in several arreas and you may find easily signs to TP from an area to another. There are 2 areas for 2D art. Hedges are filling the space and RL or SL art are hanging all over. I got an hedge close to arrival point. So I could put some of my artworks from my “Fragments” exhibition here. And I am well surrounded because my friend Chloe Seljan has an hedge right in front of me and just next to her, is also the wall of Taylor Flanagan, her partner in crime. As you may see in the pics there is a big diversity among the pieces exhibited. RL painting, digital painting, RL and SL photography, drawing, fractals, there is something for every taste. The Morning Shire and 2 other areas are hosting 3 D art. I first went to visit the Morning Shire, because it is where i got an hedge last year. This year, there is no hedge there but some lovely sculptures on the grass. The atmosphere is still so bright. I like this spot a lot. Peaceful and ideal for daydreaming and enjoying the view. Heron Shire displays also some great 3D pieces. Like this stand “Life is a battlefield” from Noke Yuitza from Alegria Studio. Here too, there is a lot of diversity among the works displayed. Just some steps further you can see this funny sculpture from nessuno Myoo : “Self portrait without hat”. Or this impressive installation from Giovanna Cerise : “Saudade”. Next to that one, standing in the sea, is the installation from Alegria studio, also impressive, that you maybe visited when it was on a LEA sim (Sea of cubic dreams). 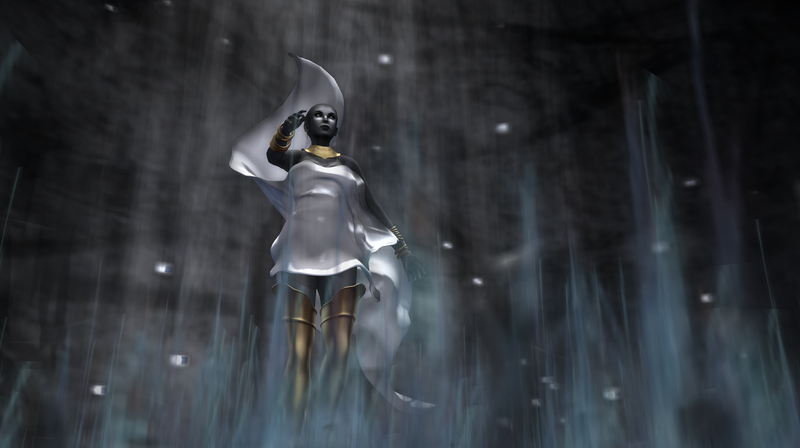 The installation on LEA is one of the most impressive i ever seen in SL. Sadly i cant show you all the sculptures there, and you must go and visit by yourself. You wont regret it. 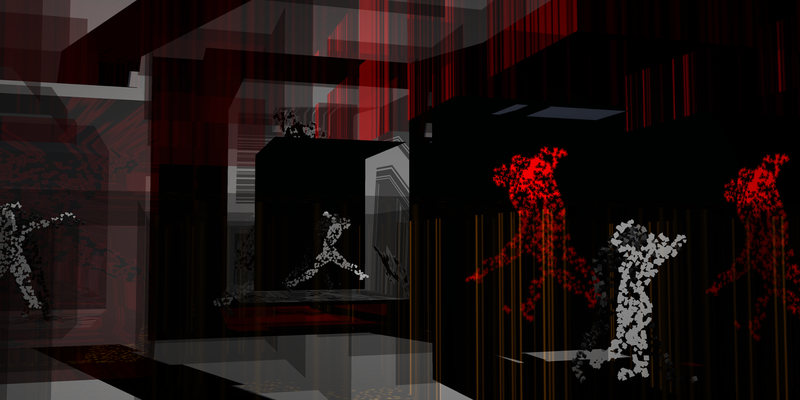 We will finish the visit at the Athen Shire, hosting also some amazing 3D art. “The Dragon-limited edition” is the first piece you will see while arriving there. The artwork is from Kerupa Flow and it worth the view. It s all animated and change as you are watching it. Just behind this stand you will find some other sculptures. Like this interesting one : “Best friends” by iSkye Silverweb. Or this intriguing “Medzera” by Corcosman Voom. Athen Shire – “Medzera” by Corcosman Voom. 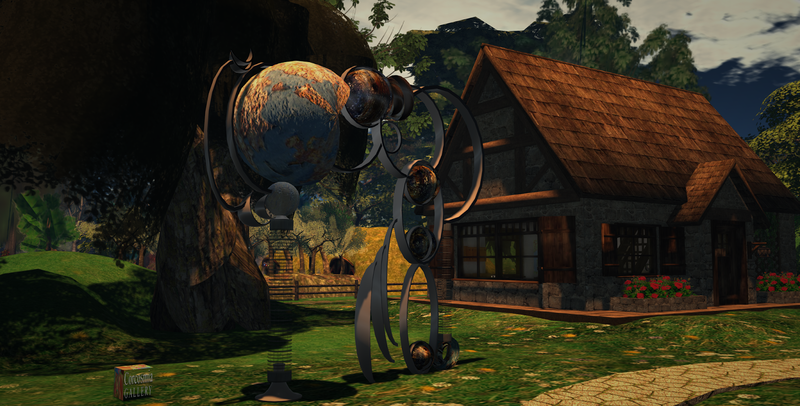 Do not forget while you are there to visit also the Raglan Shire TreeGallery, hosting pieces from some artists of the community. Also know that there is a pretty full schedule of activities all along the year and open to everyone whatever you are a tiny or not, resident of the community or not. As my new friend ShinyWhiteDragon told me earlier : “oh and by the way biggies and tinies and all avas are welcome to raglanshire” . So here is the link if you want to know what are the weekly activities there : http://raglanshire.com/events/index.html. I really hope that after reading this post you will have willings to tp there and visit the whole place. The artwalk will run till the end of the month, but the place is open to the public all along the year. A huge thank you here to Karmagirl Avro and all her team for their super and perfect managing of the event. Enjoy your visit ! Have fun !